The mounting filth around the Lagos metropolis is said to be serving as a breeding ground for rats that are vectors of the Lassa fever, thereby contributing to the outbreak of the disease. According to the Lagos state University Teaching Hospital, (LUTH), the current outbreak of the Lassa fever has recorded two deaths with at least 150 suspected cases still under surveillance. However, before the programme commences next month, the debts are piling everywhere. Medical experts warn that Nigeria may find it difficult to contend with the epidemic unless proactive efforts are undertaken to clear the pile of dirt around the city and embark on comprehensive fumigation exercise across the state. 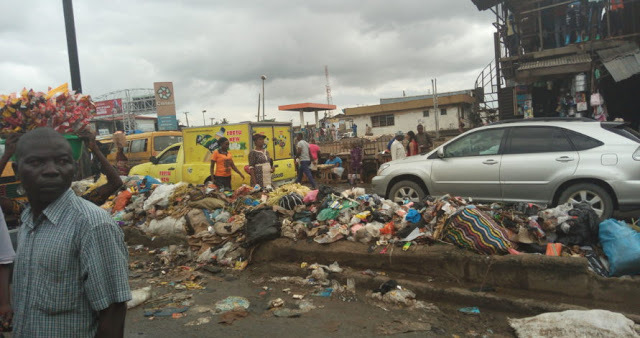 Richard Adebayo, a consultant psychiatrist and a clinical psychologist in Federal Neuro-psychiatrist hospital, Yaba, said at present, the environment in the state has been filthy. “A lot of canals are packed with empty plastics of water bottles and other rubbish and when there is dirt’s here and there, it will bring rodents and that could also contribute to the issue of Lassa fever,” said Adebayo. Adebayo further said: “We must imbibe in the culture of clean environment otherwise people are in for a lot of health hazards. We must not wait to have an epidemic, our drainages and immediate environment should be kept clean, so then we can ensure that our health might not be jeopardised. Larne Yusuf a medical practitioner based in Lagos said that the Lassa virus is transmitted to humans via contact with food or household items contaminated with infected rodent urine or faeces. The Lassa virus can also be transmitted from human to human through contact with the body fluids of an infected person. Yusuf added that the recent poor environment witnessed in Lagos state can directly or indirectly as links to the cases of Lassa fever in the state, Take for example most streets are littered with dirt which is a very good space for rats to feed and most of these rats still find their ways into shops, warehouses and our different houses. “Government needs to be more proactive with environmental sanitation towards reducing dirt on the street,” said Yusuf.